With new cooperation with professional Consultant in Corporate Strategy, Marketing, International Business Development, ACCU exporting business will be a new start in Africa markets. In 2017, ACCU pays more attention to the overseas market and also take many new actions. 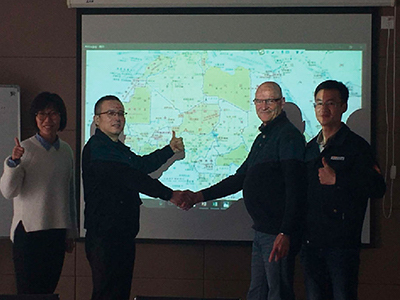 Now we are happy to sign new cooperation contract with Mr. Patrick, who is a professional consultant in corporate strategy, marketing, and international business development, especially rich experience in African markets. It would give ACCU a powerful hand to enhance the exporting business.